Are you looking for a way to create an income while working from home? Maybe you're living paycheck to paycheck, feeling trapped and looking for a way to create more? We all have dreams. If nothing changes in 5 years, will your dreams be your reality? Are you tired of ignoring your dreams as you work for someone else, building THEIR dreams? You know you're capable of so much more but aren't quite sure how to get from here.....to there? By now, you probably know I'm a midwife. I have a HUGE passion and purpose in life to empower women in all our womanly issues. Birth, parenting, marriage, spiritual and financial health. I owned a birth center for years. Let me say that a typical "brick and mortar" business is typically NOT the way to get ahead financially. Ask anyone who owns a traditional business. Most small business owners are often struggling to just make payroll! 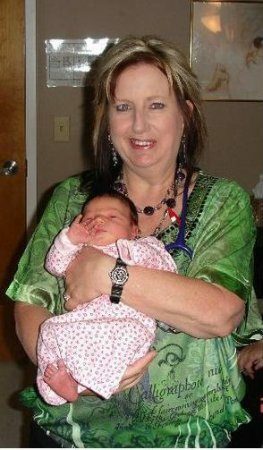 Example, my birth center start up was over $100,000 and my monthly overhead was around $20,000 per month! It take YEARS to dig outta that, no matter how much you're making. Enough about that..
​Don't get me wrong. 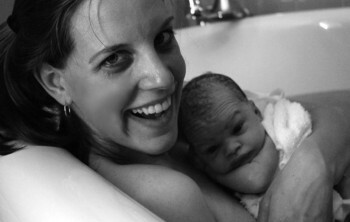 I LOVE being a midwife! I didn't get into midwifery to be an insurance negotiator, arguing with insurance companies to get the payments they were holding hostage or to fight political battles, which is what it became. No thanks! In 2011, one of my pregnant clients introduced me to something that would change EVERYTHING! Essential Oils. Not just any essential oils. I already had those...a dozen or so different brands, which did basically nothing. Essential oils that actually DID stuff. Physically and emotionally. Imagine the feeling of taking a mama from feeling helpless about caring for her child's health needs to total empowerment just by loving her enough to be a matchmaker! Okay, so I'm a little quirky in my language but seriously, I introduce moms to my *trusted essential oils and teach them how to use them and they take it from there. It's a match made in heaven! AND! Someone wants to pay me for helping make other's lives better! When I first started pl​aying with these oils, I began getting checks which kinda surprised me at first. Within several months, my own oils were paid for each month, while I was just dabbling. I didn't, at that point, consider myself to be in business. It was pretty hit or miss. After all, I was still catching babies, fighting insurance companies for fair payments and navigating birth politics, full time. ​I began to believe that every mama could be the healer in her own home! I was seeing it blossom before my own eyes. Once I closed my birth center (yep, you guessed it! tired of insurance and politics hassles)​ I got really intentional. In less than one year, with consistent effort, I completely replaced my birth center paycheck and I can show you how to do that too! Now, I'm able to be here for my kids, work out of my home office (huge tax benefits!) and set my own hours. Every day I get to share natural health with others. I watch mamas blossom into the healers in their own homes. 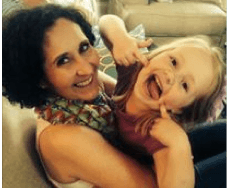 I get to share simple steps to business with precious women who want to create an income, all the while, getting to stay home with their babies The best part? When you're doing something you really enjoy, it doesn't even feel like work:). I help good mamas become better mamas, doing what I love and that is incredibly fulfilling! I love, love, LOVE what I'm doing. ​And! I'm ready to show others how I've done it. I'm currently looking for several highly-driven, really motivated people to fill key leadership positions on my essential oils team. These individuals will have the opportunity to be mentored by me and to create a *residual income (aka, build it and it keeps on paying you), while sharing products and changing lives! ​I live this lifestyle, inside out, and have walked before you to replace my own professional income. I know this business intimately, and I can teach you how to take it to the top! I will mentor and support you all along the way. Mentoring by me and my team leaders–it is our goal to see YOU succeed in your business. Access to to our team calls, training, webinars, incentives, strategies & challenge programs. Access to our password-protected team business building app. Access to our private team Facebook groups where you’ll learn how to use your oils and build your essential oil business. The ability to get the deepest discounts possible on essential oils & products. The opportunity to create real residual income from a very legitimate, very do-able home-based business. Why Partner With This Essential Oil Team? ​SUPPORT is everything in this business! If you want to succeed and are willing to put in the effort, I can get you there. Support is our specialty. My team and I are super committed to making sure you have all the help you need to succeed. Whether you have questions on how to use your oils (how many drops go where? ), or how to create an awesome income, we are only a text, email or phone call away! What Company Do I Work With? ​Until recently, you would have found the name of my trusted essential oils company plastered all over my website. Due to increasingly strict enforcement of FDA regulations, I had to remove those references from my blog or choose to water down my blog content to a bunch of nothingness. I chose to keep high quality content and remove the name of the company that has changed the way I do health! Gratefully, I work with the largest and fastest growing essential oils company in the world and my team is still growing by leaps and bounds despite FDA rules. Fill out my request for information below and I'll be glad to share all. Not at all! There are NO magic beans here. Expect to work...hard! My income is ONLY limited by me and what I choose to put into my business. The difference between this and a J-O-B is that the work you put in will come back to you 100 fold! It's yours! You own it! You are the boss, there are no glass ceilings and your income is determined ONLY by the amount of work you are willing to put in. You will not be trading hours for dollars like in a job. You will be creating a flow of income for your family that will last a lifetime. This is a wellness business that anyone can master. This business model has been called by some, The Great Equalizer" because there are no prerequisites or business degrees required and EVERYONE needs health care. If you have the mindset to succeed and are willing to acquire the skillsets needed, I WANT to help you get there! BONUS!! Are you PREGNANT and want to build a wellness business with Lisa so you can stay home more with your baby? Do you want to create an income from home, so you can stay home more with your new baby? ​Do you want to grow an amazing baby and don't know where to start? How the heck does this help me have a healthy pregnancy or avoid a c-section, you may ask? Most women in the US have their babies in hospitals with mainstream medical providers. Did you know that the average OB face-to-face time at a prenatal appointment lasts only 6 MINUTES? It's VERY difficult to even get basic information in 6 minutes, much less, any sort of natural wellness or prevention care ideas. That leaves you on your own to ferret out information and, let's face it, consulting Dr. Google or "mommy blogs" is not always the safest or most productive way to navigate a natural pregnancy. There is SO MUCH CONFLICTING information out there! Especially in the world of pregnancy and essential oils. After closing my birth center in 2013, we left a huge gap in "wellness based maternity care" in South Carolina which got me thinking..if that gap exists here, surely it exists in every single state! 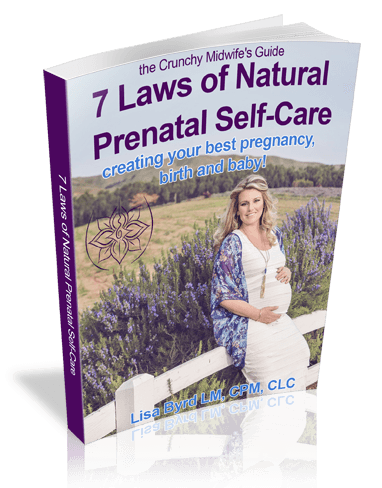 ​What if you could have a working relationship with a natural-minded (crunchy) midwife, while still seeing your regular OB provider AND also grow your own wellness business? In 2011, one of my birth center clients brought this little brown bottle of essential oil into her prenatal visit. I quickly brushed her off. As I mentioned before, I had over a dozen different brands of essential oils (some, really well known) and I just wasn't impressed. Up until then, my experience was that they didn't do what all the books said they should do. Based on my experience at that time, essential oils didn't work and I wasn't interested! She really believed in what she knew, however, and persisted asking me for a few more visits until I finally gave in and let her teach a class at the birth center. I, honestly, don't know why I did. I wasn't convinced that they were any different. I jokingly tell her now, it was just to shut her up and make her quit asking. I'm really grateful for her belief in THIS brand of essential oils and her persistence! The rest is history. I overcame my skepticism with research, studies and information and found the most effective natural health solution I have ever used. Now, I sing it from the rooftops so every mama has the opportunity to try excellent quality essential oils. I have a very special place in my heart for keeping mama's out of a 9-5 job! Allow me to offer you, dear pregnant "mompreneur," an added Bonus! Take advantage of my Natural Pregnancy, Birth & Baby Coaching Package, FREE, when you become a Wellness Professional on my team! ​These 4 coaching sessions can be whatever you need! Need preconception counseling? How about nutrition education and support? Birth plan support? You'll get the midwife prenatal "experience" and my best pregnancy coaching tips, handouts and education to keep you "low risk" so we tip the scale in your favor, to have the birth you want! Natural pregnancy wellness and supplement support. No more guessing which prenatal is the best or what's safe and what's not. Midwifery resources on how to navigate issues such as anemia, baby's position, preventing or turning a breech, VBAC, preventing low amniotic fluid, healthy moods in pregnancy and postpartum, life with a newborn and lots more! Newborn information on eye ointment, vitamin k, vaccines, circumcision, cord care, cloth diapering resources and more. I'm excited to get to work with you on your Wellness Business and your Baby Project! Shall we get started? If so, connect with me here﻿! Not ready for your own business yet but still interested in essential oils? I'll show you how to get oils for the same price I pay for them. I can help you get wholesale pricing and great support with no obligations. Just CLICK HERE.